My friend was actually caught cheating in motel. Here's how. 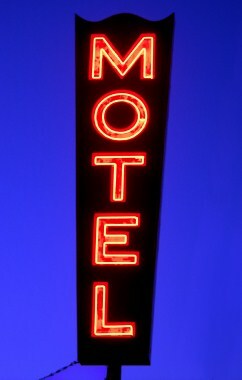 It might sound like a scene from a movie, but I actually had a friend that was caught cheating in motel room. Ladies, I mentioned that the cell phone is one of the life lines to a cheater's affair. Well, if you can track his expenses you have another life line that will surely lead you to uncover his cheating ways. With my friend, his affair started out casually. As their relationship grew into a sexual one, they would meet up after a night on the town (he was supposedly out with his friends). As with most affairs, the couple involved will need to see each other more and more. At first, they would meet up in a nearby motel a few times a week during lunch. To cover his tracks he would use cash as much as possible, but the occasional charge to his credit card was one of the signs of a cheater that did him in. There is a trait in many of us that always leaves us wanting more. This is a trait that many cheaters possess that will usually get out of control. The occasional motel visit became a routine that was part of their week. A cheater will try to establish a routine that will accommodate his mate, as well as his new flame. By getting a hold of his credit card statement, his girlfriend was able to piece together the re-occurring middle of the day motel charge along with his shady stories that he would use to cover his time lapses. And of course, when she would ask him about his day and how is lunch was, there was never any mention of the new buffet that he was visiting at the local motel. The signs were there and it eventually led her to hire a private investigator that eventually led him to be physically caught cheating in motel room. In my friend's situation, his girlfriend did stay with him and they are still currently going to relationship counseling. They SEEM to be a stronger couple now than they were before. I really do hope that "caught cheating in motel" will only be a chapter and not a theme in his book of life. I am glad they allowed me to share their story as there is life after infidelity if have the faith and truly believe that your relationship is worth it. You will will need to come to terms with that if you are ever faced with the challenging decision.